The file almost brought my GE 4 into a halt! 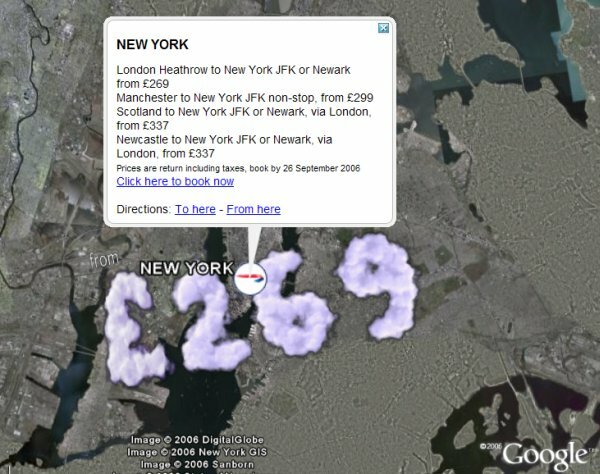 However, I think it was very clever for British Airways to use Google Earth. Just seen the ad on TV too. Makes Google Earth look very nice! Especially the end shot! Click on the 'Discover hotels on Google Maps' link. Just i want to suggest BA should uses plugin at googleearthairlines.com !